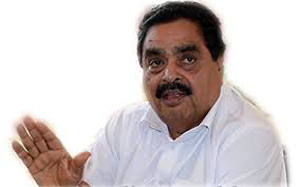 Mangaluru, June 14, 2015: Speaking at the inaugural of ’Suggi- Huggi’, a folk fest organized by Kannada and Cultural Department and Sri Ramakrishna Pre-University College at Sri Ramakrishna PU College June 13, Saturday, District-in-Charge Minister B Ramanath Rai, said that because of the knowledge among farmer community, Karnataka Land Reforms Act was successfully implemented in the district without discrimination among farmers. The knowledge of farmers reflected in folk arts like Pilivesha, Aatikalanja, Kangeelu and many others in this part of the state. Dakshina Kannada District Kannada Sahitya Parishat President Pradeep Kumar Kalkura said that folk art is a lifestyle. There is no danger in collecting knowledge through internet, but let us not forget our culture. In modern times people feel that enjoying Yakshagana Chikka Mela, Dollu Kunita, Kolata and other art forms is not very sophisticated. Promote folk art forms and give opportunity to thelocal arts and artists. MLC Ivan D’Souza stressed that such programmes give life to folk art forms. More than 20 teams performed various cultural extravaganza as a part of the programme. Bantara yane Nadavara Matru Sangha President Ajith Kumar Rai Maladi. MP Nalin Kumar Kateel, DK DC A B Ibrahim and a good general gathering were present.